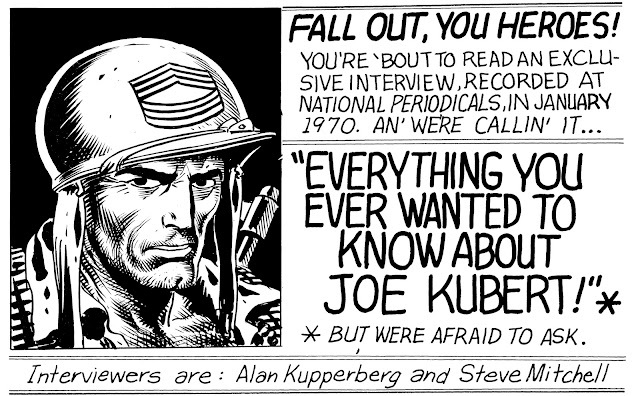 What you're about to read is a previously unseen, unheard and unpublished interview with the master himself - Joe Kubert - as conducted by Alan Kupperberg and Steve Mitchell in January 1970. This interview is published with the express permission of Alan and Steve, and the copyright lays with them - so no stealing this interview to put in a book. If you feel the need to use it, or to quote from it, then ask Alan and Steve first. Now, without any further ado, let's get started!